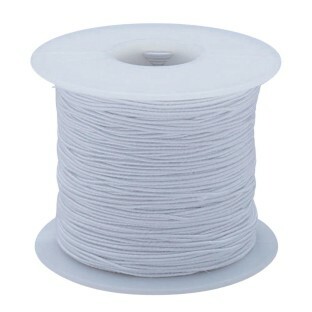 Durable, medium weight elastic cord. Great for any craft project. Make dolls, string jewelry beads and more. The kids love using this string to make jewelry with pony beads and also it helps when they make the key chains. this spool is enough to make 300 name bracelets for summer camp wow!